This program focuses on presenting new reentry strategies and highlight specific programs around the country that reflect best practices. Imagine a reentry program that reduces recidivism, changes lives, and makes prisons and jails safer with little or no cost to taxpayers. Such a program has been around for decades. It is correctional industries, an effective model for preparing offenders for employment upon release. The elements of this strategy include skills certification, positive change, collaboration with businesses and the community, and a focus on career development and job retention. 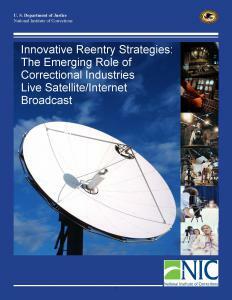 Participants in this broadcast will be able to identify: the growing role of correctional industries in the reentry process; best practices in innovative correctional industries related to successful reentry; strategies for promoting collaborations that increase the effectiveness of correctional industries on reentry; positive reentry outcomes resulting from correctional industries; and the future of correctional industries. 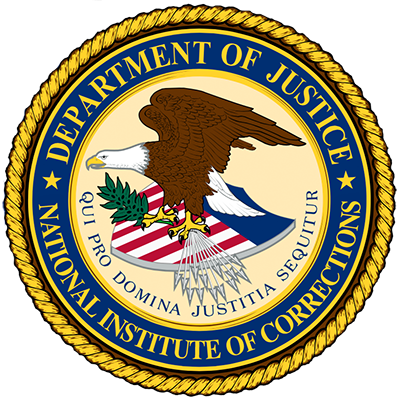 This program is Part 2 in a series on correctional industries; Part 1, Building Tomorrow's Workforce: An Effective Reentry Strategy (#023255), focuses on the history and benefits of correctional industries and ways to balance competing interests. Part 3, Correctional Industries: A Working Solution (#025293), explores how Correctional Industries make a significant difference in the lives of the offender population through testimony from national experts, correctional practitioners, and former offenders.